Playing basketball at Olympic Park is like playing basketball on the '92 Dream Team. However, once you step onto the court and start playing, you are bound to realize that you are indeed NOT on the Dream Team. But that's okay, even the basketball players that played at Olympic Park in the 1988 Olympics were not part of the Dream Team. Those '88 Olympics were the last Olympics in which professional basketball players could not participate. The next Olympics, in 1992, saw the birth of the Dream Team. 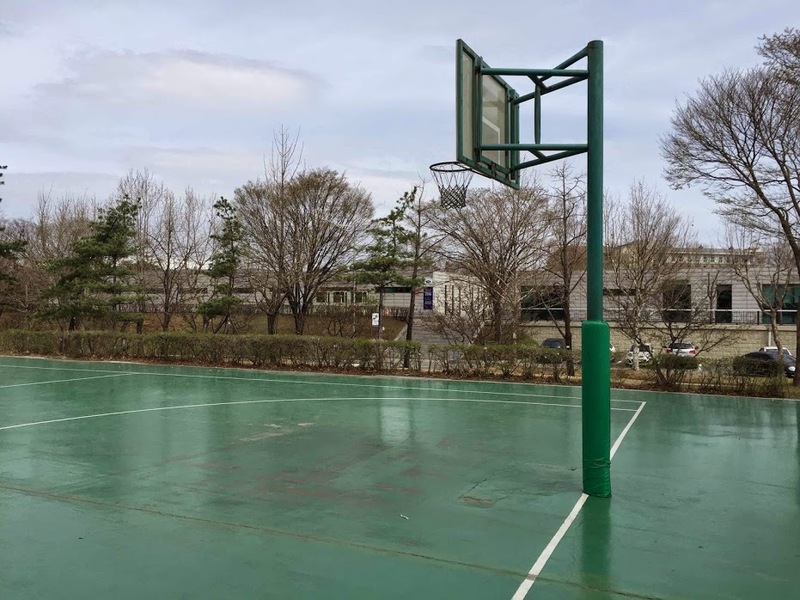 The outdoor basketball courts at Olympic Park are a great place to play basketball if you want to feel like a champion. 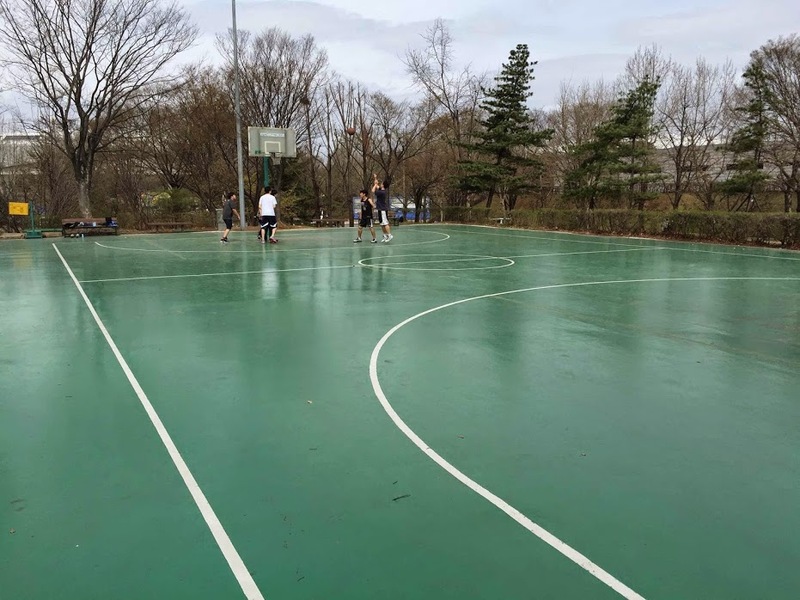 There is one main court and then a few goals nearby that share the same pavement. Check it out. There is one full court with all the traditional line markings. 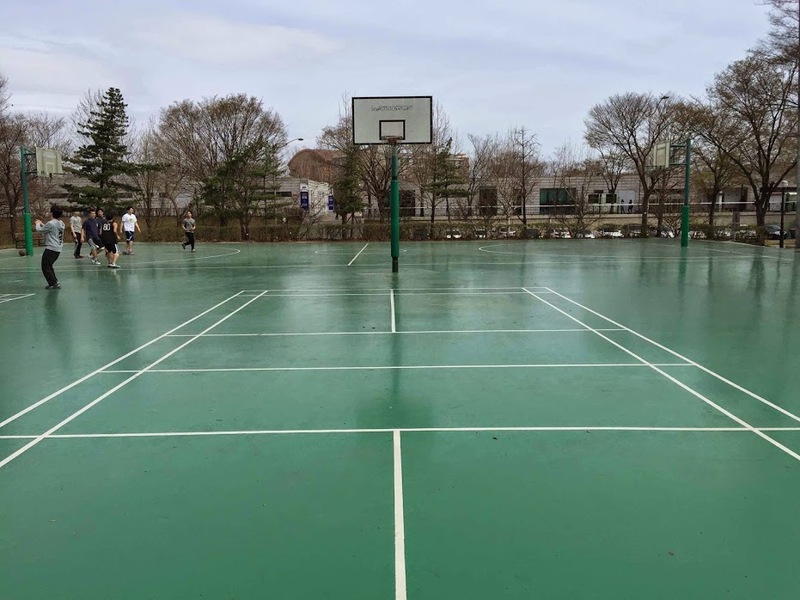 There are two goals to the side of the full court that have badminton court lines painted where one would normally expect to find the key. One can't help but to question the rationale of this. This is a good location for quality pick-up games in the late afternoon and evening. 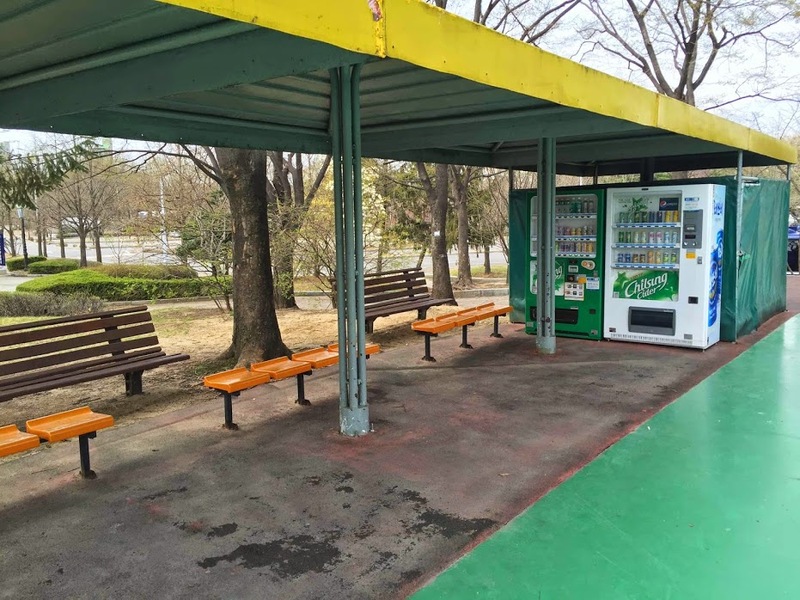 There are several facilities nearby such as restrooms and places to get food and drinks. 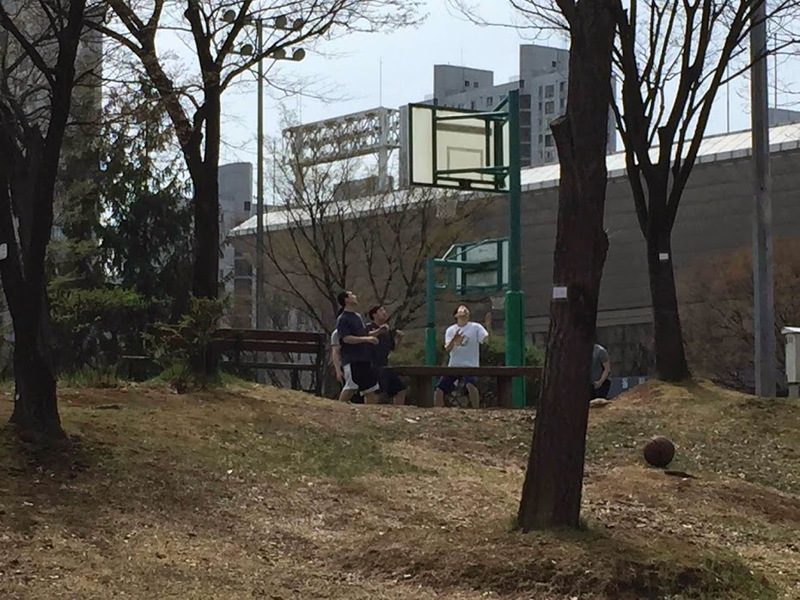 Even though in reality it means very little, it is kind of cool to play basketball in "Olympic Park". There is only 1 full court. The other goals are only useful for shoot-arounds or small half-court games. Since the park was used for the 1988 Olympics, there is no chance of seeing any Dream Team members playing here. There is a Paris Croissant and a C&U convenience store between Olympic Park Station and the basketball court. The Paris Croissant is pricey and, besides, only Tony Parker would eat there before or after a basketball game. ** The facilities listed above are in Olympic Park. However, Olympic Park is big. In all actuality, some of the "nearby" sports and recreational facilities may not be that near. They just share a park. A rather big park. Check out the Olympic Park photo album to see more pictures of the area. -Walk out of exit 3 and through the gate into Olympic Park. Starting with a Paris Croissant, you will see a series of small restaurants on your left. The basketball courts are behind these restaurants and at the far end from where you begin.